31. Nike Dunk High Pro SB "Supreme"
For their second collaboration on the Dunk SB, Supreme took "understated" out back and shot it. 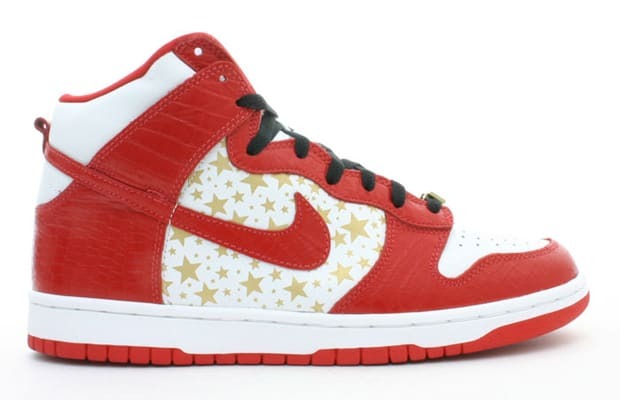 Their Dunk Highs featured gator-print uppers with gold stars on the side panels, three sets of laces (shoe color, black, and white) and gold "SUPREME" dubrays. Allegedly limited to a thousand pairs per colorway, these marked the beginning of the "line up for SBs" days.